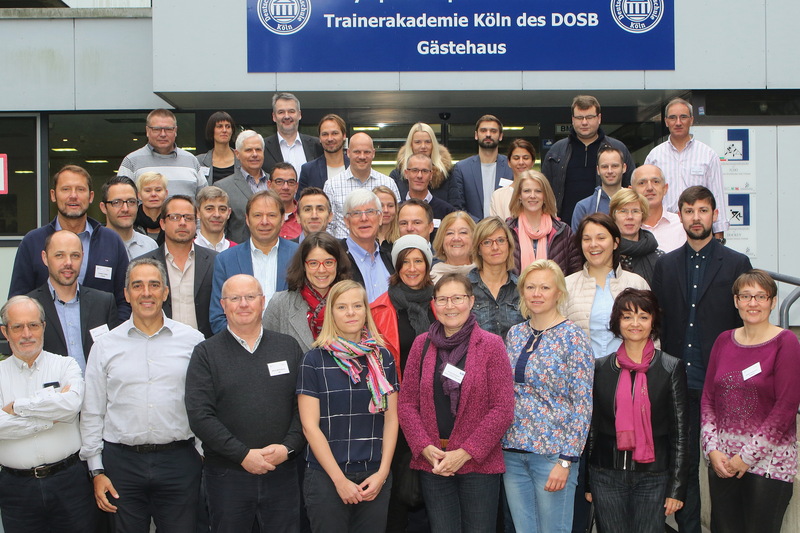 The Conference, which took place in Cologne at the Trainer Academy of the German Olympic Sports Confederation, had several international speakers and guests. 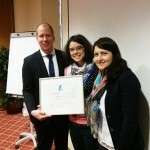 EOSE was represented by Carole Ponchon, Pr and Projects Manager. 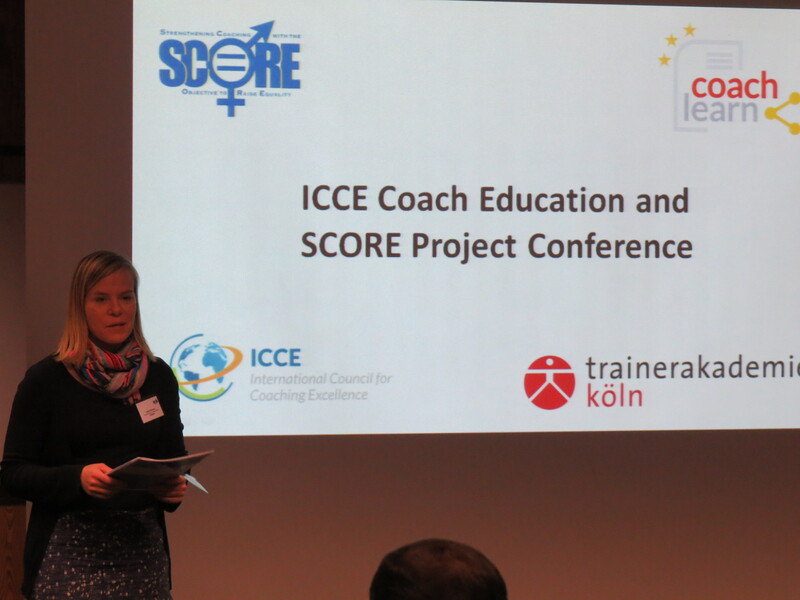 The event was organised together with the International Council for Coaching Excellence, partner organisation of SCORE project. 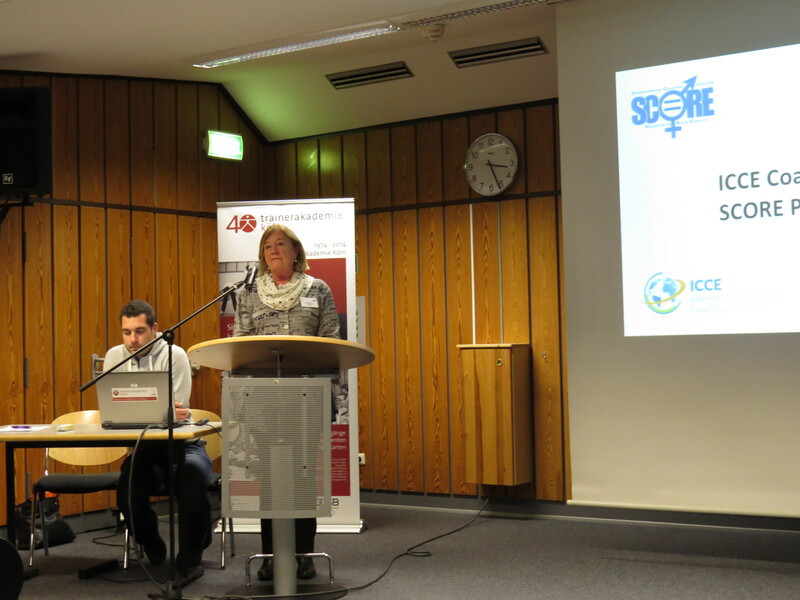 The first part of the event was a joint plenary for ICCE and SCORE events during which the Honorary President of ENGSO, Birgitta Kervinen, welcomed the participants and highlighted that gender equality has been one of ENGSO’s priorities for a long time. 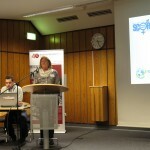 Furthermore, Heidi Pekkola, SCORE project manager, gave a general overview on the project in the plenary session. 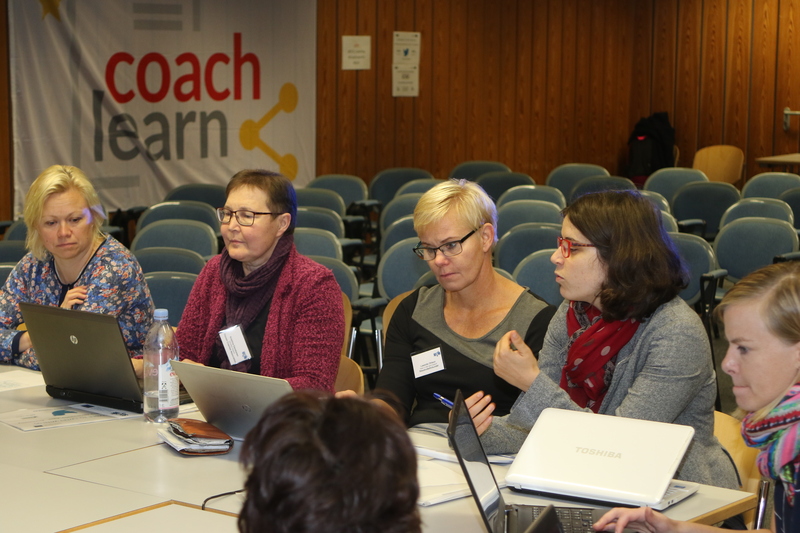 During the parallel sessions, Satu Kaski, sport psychologist and Educator of the SCORE Programme for Mentors, shared information on the result of the Education for Mentors, which was one of the key elements of the project. 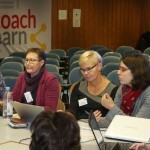 Altogether 22 mentors from 8 countries have been educated to support female coaches in their coaching pathway. Leanne Norman, Senior Research Fellow from the Leeds Beckett University, highlighted the importance of organisational change to improve gender equality in the presentation based on her research. 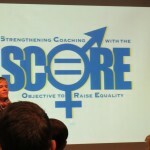 This set the scene for the SCORE toolkit, which was presented and launched by Sarah Milner from sport coach UK. The interactive toolkit is one of the main products of the project, and it has been developed and tested in different countries during the implementation of the project. It contains tools with good practice examples for sport organisations to create a more gender equal environment and facilitate the access of women into coaching. 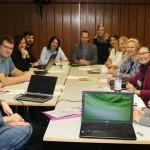 In addition, it contains also information targeted to women who are interested in coaching. 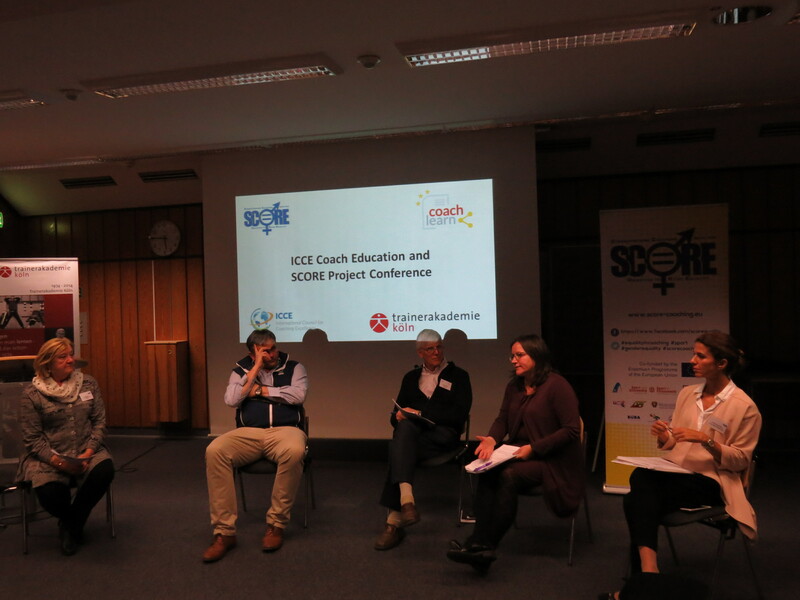 The Conference finished with a panel discussion “How to break the glass ceiling in coaching?”, with the participation of ICCE President, John Bales, who presented the work that ICCE, as an umbrella organisation of national coaching associations, will do in order to increase the impact of the project. Particularly, he highlighted the plans for the internal dissemination. 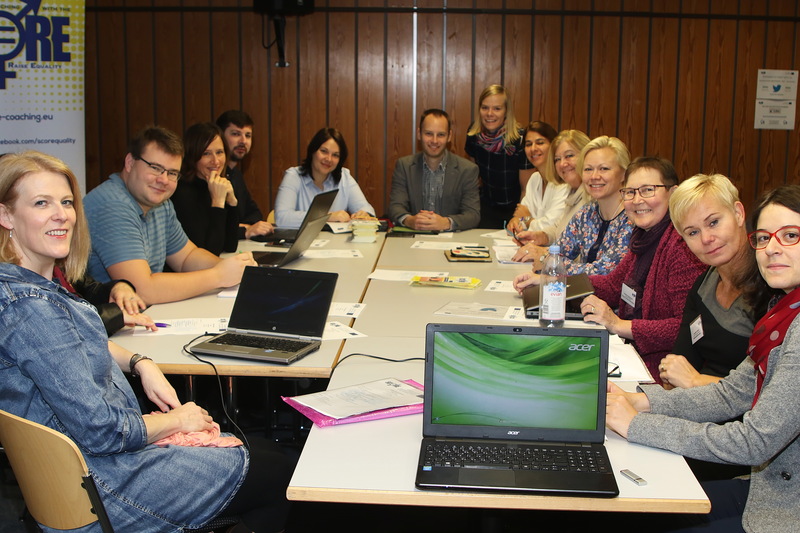 The toolkit will be adopted within the educational materials of the ICCE for their coaching programme and it will be officially presented during their annual conference in 2017. 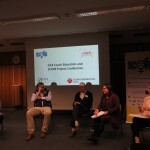 The other panellists were Policy Officer Paola Ottonello from the Sport Policy and Programme Unit of the European Commission, Evelina Georgiades from the Cyprus Sport Organisation, which was also a partner in the SCORE project, and Mark Harrington from the World Rugby. 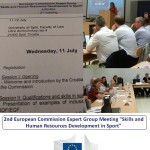 The participation from the public was active and the discussion focused on the importance to guarantee the maximum impact of the project, as well as on the fact that support from the political leaders of sport organisations is crucial to effect the change. 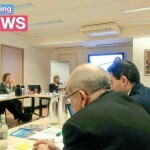 The project will officially close in December but the dissemination and sustainability action will start immediately after the Conference guided by the ICCE. 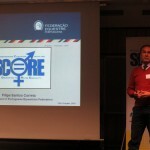 “Strengthening Coaching with the Objective to Raise Equality” – SCORE is a European project supported by the Erasmus+ Sport Programme and led by ENGSO. It brings together 13 key partner organisations. 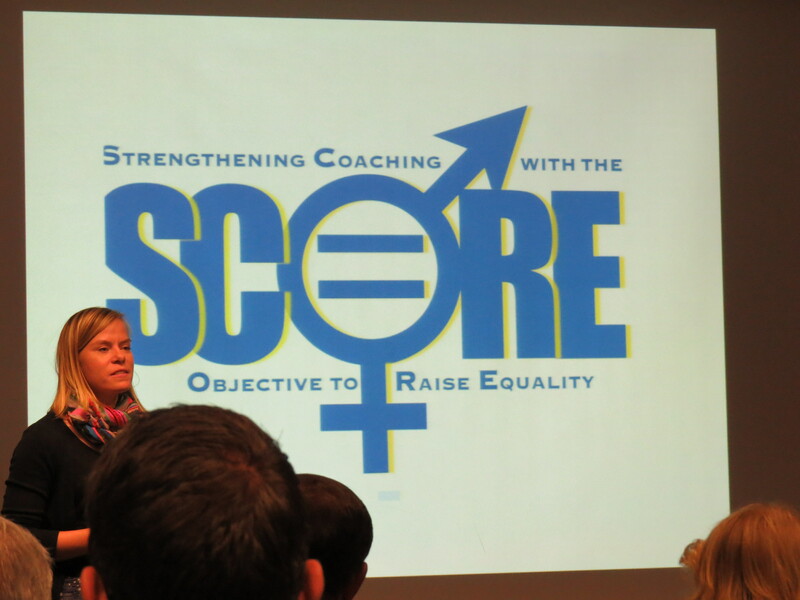 SCORE promotes gender equality in coaching, and focuses on increasing the number of employed and volunteer female coaches at all levels of sport as well as enhancing knowledge on gender equality in coach education. 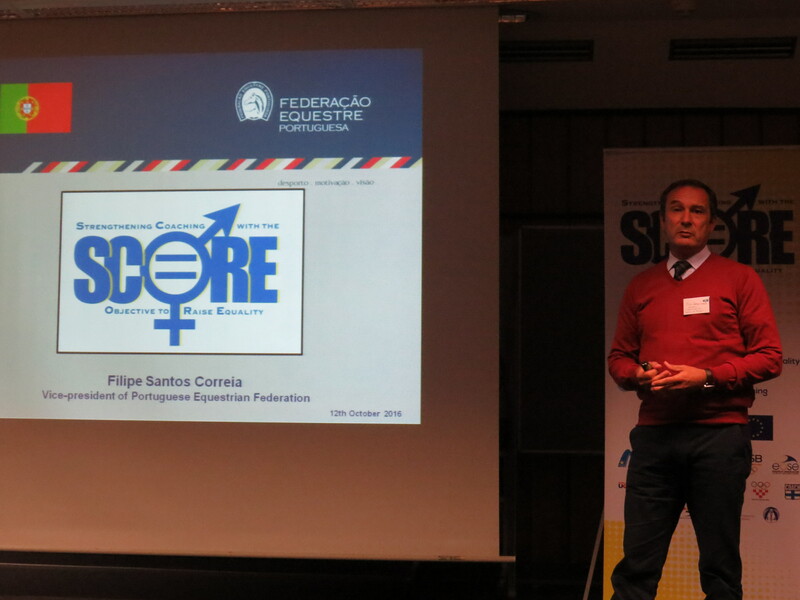 The SCORE project is a two-year project and will be finalised by the end of 2016. 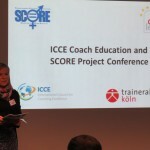 For more information visit the project website http://www.score-coaching.eu/ and follow the discussions on social media with #scorecoaching and #equalityincoaching. 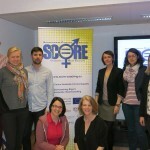 27 April 2016 Halfway through the SCORE Project: what has been achieved?